The Humble Jumbo Bundle has been updated, and is now, somehow, even better value than it was before. The latest bundle was already pretty great, but right now if you head over to the Humble Bundle website you can grab nine games for very little money. No matter what you pay you’ll get keys for Outland: Special Edition, Fallen Enchantress: Legendary Heroes and Mercenary Kings. Go over the average (currently just $5.18) and you’ll also get Endless Space: Emperor Edition, The Stanley Parable, and The Adventures of Van Helsing II, as well as newcomers Screencheat, Freedom Planet and Coin Crypt. 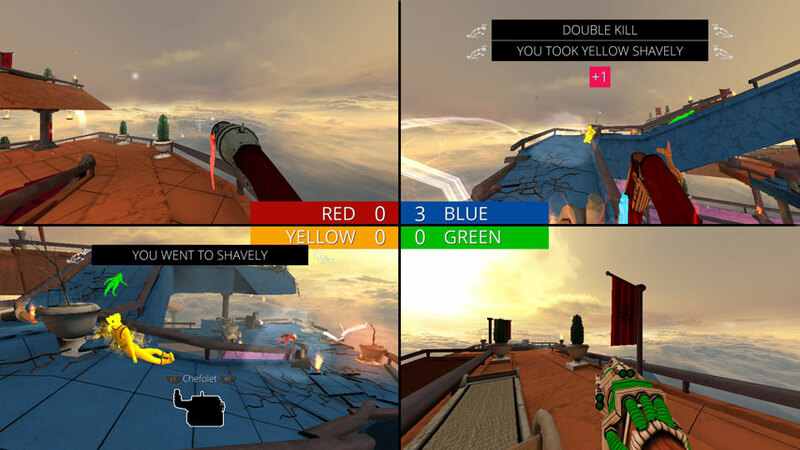 Screencheat is a particularly good time – it plays like an old school split-screen shooter, but your opponents are invisible, and the only way to figure out where they are is to sneak a look at their quarter of the screen. Paying over the average also unlocks soundtracks for six of the games, and spending $18 also grants you a key for an Early Access version of Space Engineers. This Humble Bundle is in support of charity: water and Save the Children.